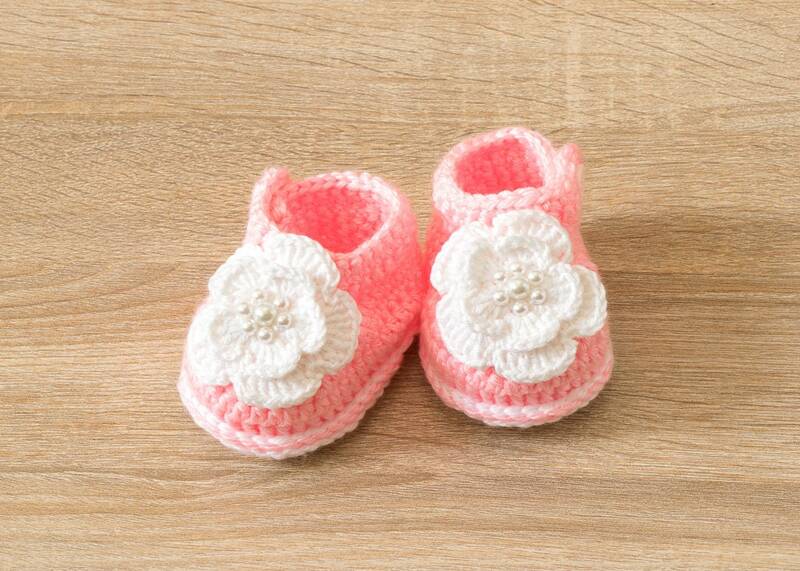 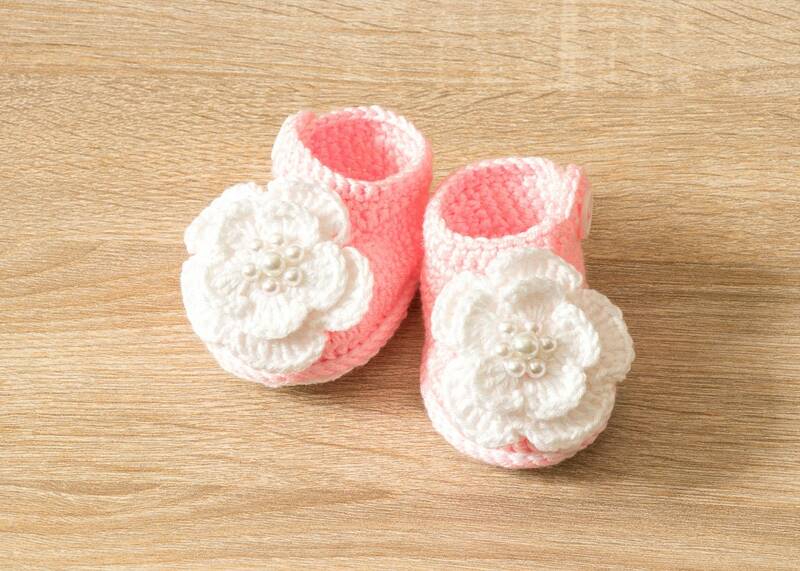 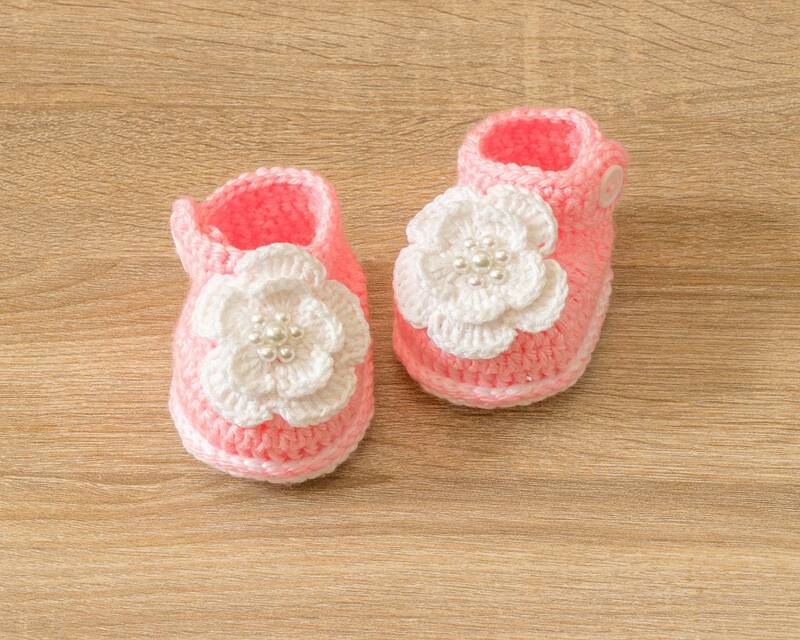 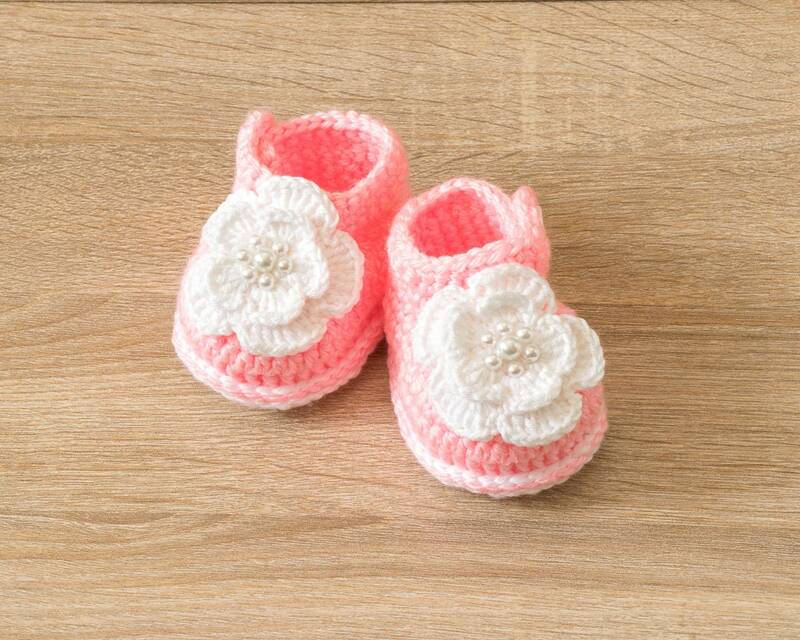 This adorable pink and white shoe and headband set are crocheted with high-quality acrylic yarn, perfect for babies sensitive skin. 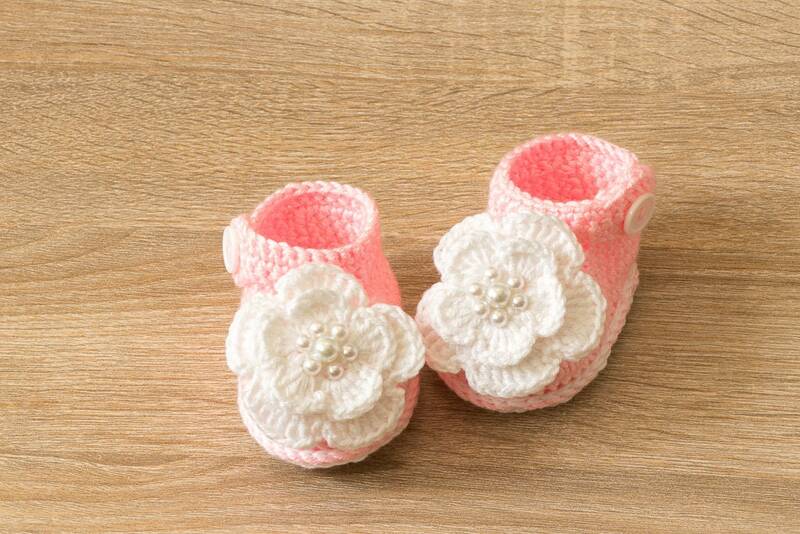 Great for photo shoots or everyday wear! 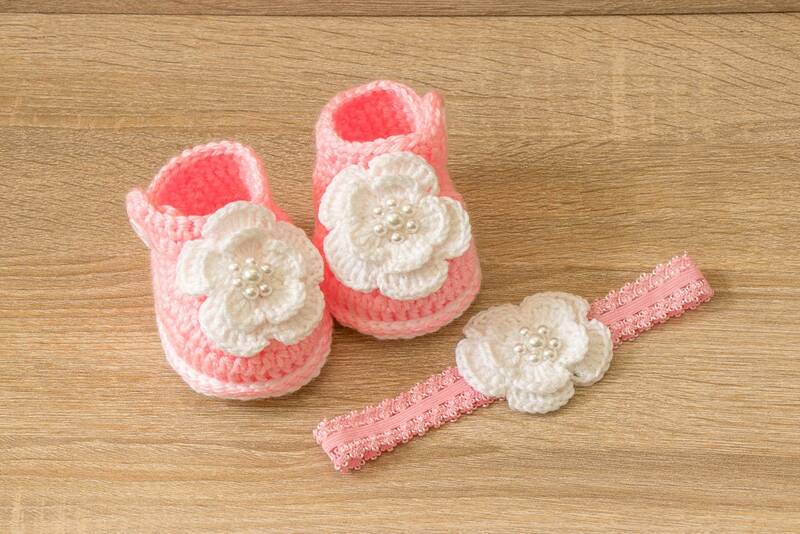 The set includes a pair of crocheted shoes and matching lace flower headband. 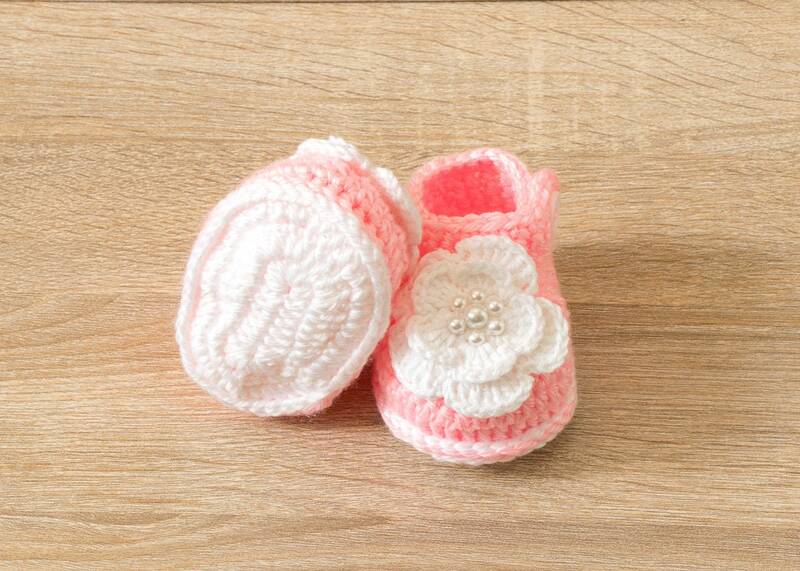 Shoes are double soled for a more cushioned sturdy shoe and nice fit.